Pity the fool! April Demoers Announced! Who's on stage at TechHub Demo Night this April 1st? These guys! It's April Fools Day, so is there a joker in this pack? Come along and separate the serious finds from the fools! 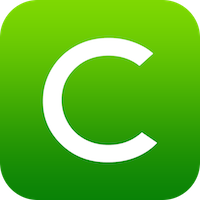 Capturize Welcome to Capturize - an interactive platform for you to anonymously post everyday moments and using built in geo-location view what is being shared immediately around you. Your friends will not know if you are on the app or what you have posted. With Capturize you can truly express your individuality within your local community � be it in schools, colleges, towns or cities. The app provides a unique intimacy as the content is shared with users who have a personal association with that image thereby making this a truly local platform. 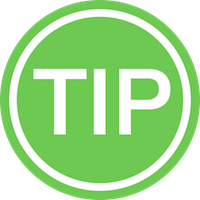 Tip is a payments app that allows you to give gratuities to waiters, cooks, cab-drivers, hair dressers or any other service that you might wish to reward. The increasing amount of other payment apps have all thought about pleasing the merchants needs but not their workers. We now allow you to ensure that any gratuity you want to give reaches that worker direct, cash free & just by introducing your credit card number. Now you can really say goodbye to your wallet forever! 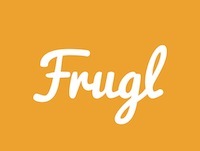 *Frugl * Frugl is the only events discovery app aimed at helping people on a budget to find affordable things to do in London. Launched in March 2014, the app for iPhones allows users to search listings by date/price and location. Users can share events via all the popular social sharing sites and get directions to venues by mapping platforms including CityMapper. The Explore section uses location-based technology to help users find events near them or by London�s most popular going out areas. We are currently seeking SEED investment for further technological development and for scaling into other cities with similar challenges to London. PingTune PingTune, the free music messenger, provides friends with an effortlessly simple way to share their favourite music. 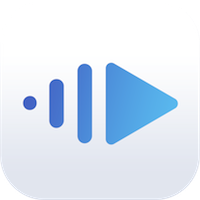 PingTune allows users to search for music from online sources like YouTube and SoundCloud, which can then be listened to and shared with friends. You can even choose a specific section of the tune or video to send � which lets users create truly personal music messages. PingTune can be used for sharing new music, reliving great memories and even for flirting. Portfoleo Portfoleo is a hiring platform for architects connecting the world's brightest minds with the best companies. Post jobs, or browse our job board, apply and get hired. Apps include Resume & Portfolio builder, 1-Click Job Application, Job Posting and Candidate Compare. We think that the hiring process is incredibly broken. Technology was supposed to revolutionize the courtship between employers and prospective hires, matching candidate with job with a few clicks. Instead, job-hunting tools have left companies with too many resumes and have given job-seekers the sense that applying online is a waste of their time. We want to fix that. Microco.sm Microcosm is a modern forum platform for community creators. We help you grow your community with great looking, customisable forums that work on all devices. We provide all the tools your community needs in one place. It's our job to just make it work: nothing to install, no updates to manage, safe and secure. Leaving you to focus on the important stuff: building your community. BORN takes the business model of crowd-funding creative projects to a whole new level! With its positioning as a Premium crowdfunding platform and with project categories ranging from art, design, innovation, fashion accessory, gastronomy, philanthropy and gaming, BORN is here to help promote and finance creative projects. An outstanding team of international curators and experts add an invaluable touch to BORN, endorsing and guaranteeing quality for the talents and brands collaborating with BORN. Following the dynamics of crowdfundiung platforms, BORN gives the opportunity to designers to present their projects to a wider, global audience, and to collect the necessary funding for their successful implementation. ThisMe ThisMe is a graduate recruitment platform that allows employers and recruiters to identify and connect with high potential candidates who have 21st century soft skills. ThisMe is designed to provide a more complete picture of a candidates potential, because candidates volunteer to undertake a soft skills assessment in the form of game based business scenarios. Employers to reach out to determined, adaptive and Internet savvy candidates that conventional recruitment approaches may not have led them to. Contemporary design, gamification techniques, and an efficient format add to the appeal.